SONIC Lab is proud to welcome George G. Vega Yon of USC’s Keck School of Medicine. George will speak on Wednesday, March 20th, 2019 at 2PM in Frances Searle Building, Room 1-483 with a workshop to follow. Please contact Brent Hoagland with any questions. Small network data such as team, family, or personal networks, is common in many fields that study social networks. Although the analysis of small networks may appear simplistic relative to the difficulties posed by “big” datasets, there are at least two key challenges: (1) fitting statistical models to explain the network structure in small groups, and (2) testing if structural properties of small networks are associated with group-level outcomes; for example, team performance. In this presentation, we introduce two new statistical methods that use a revisited version of Exponential Random Graph Models (ERGMs) in the context of small networks. Using exhaustive enumeration of networks in the support, we are able to calculate exact likelihood functions for ERGMs, which allows us to obtain maximum likelihood estimates directly (without using simulations), avoiding common problems that arise from methods that rely on approximations instead. This is joint work with Prof. Kayla de la Haye (USC). A workshop on the R packages ergmito and gnet for applying the methods introduced during the talk will be conducted. 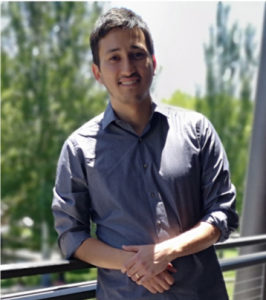 George G. Vega Yon is a Biostatistics Ph.D student and Research Programmer in the Department of Preventive Medicine at USC’s Keck School of Medicine. His interests are in computational statistics and scientific software development. Most recently, his research has focused on the development of statistical methods for both phylogenetics and social network analysis. He holds a MS degree in Economics from Caltech, and a MA in Economics and Public Policy from Universidad Adolfo Ibáñez, Chile.